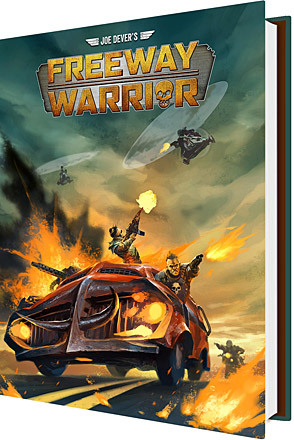 PRE ORDER this hardback rpg based on Joe Dever’s Freeway Warrior Gamebooks. The rpg will be equipped with two sets of rules, the Quick’n Easy based on Joe Dever’s game mechanics from the gamebooks and a more advanced set based on the Western rpg. This title will be launched at Christmas 2018.